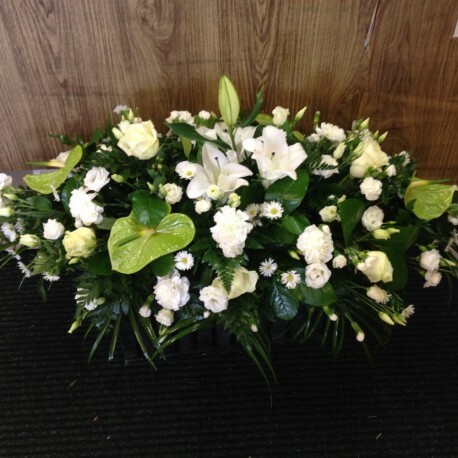 This a beautiful contemporary casket spray with white oriental lilies , green anthurium . lisianthus and the perfect cream roses. Delicate september flower and carnations to finish. Colours can be changed please speak with florist to arrange this.